These past two weeks have been a bit chaotic! When I say that this pregnancy couldn't be any more different from my pregnancy with Kane, I mean it! As of right now I have been so nauseous, but thankfully not having any sickness throughout the day. Sometimes I almost wish I would just throw up so that I wouldn't constantly feel so nauseous. Aside from that I have been extremely exhausted and somewhat emotional. For the most part I have really been enjoying this pregnancy and time with my family! After almost a week and a half of intense cramping, I went in to see my midwife. 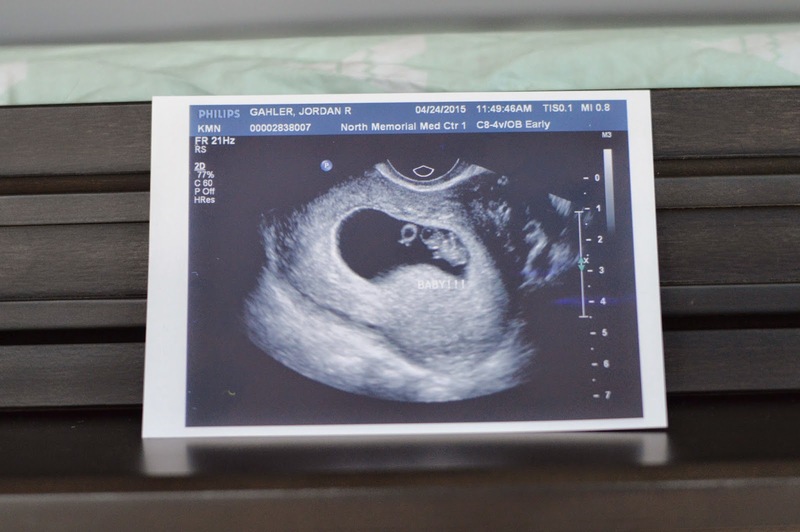 Although she was pretty reassured that I had no bleeding, she ordered an ultrasound just to put me at ease. During this ultrasound they verified that Baby B/Baby K still has a heartbeat and everything was perfectly fine! They also did a second opinion measurement, this time estimating me at 8 weeks and 4 days, putting my due date at November 30th, 2015. Based on my last menstrual period my due date would be November 21st, 2015. Based on my possible days of conception, my due date could be November 25th or November 28th! I am put at ease that Baby B/Baby K is measuring closer to where he/she should be. As we all know, a baby will come when he/she is ready, so for now my due date is somewhere between November 21st to November 30th! We will just have to wait and see when our little one is ready to make their appearance! With Kane I thought my due date should have been June 30th, 2014 but was told that his due date was July 9th, 2014 during my first dating ultrasound. That due date was later moved to July 3rd, 2014 and Kane was born June 26th, 2014! It is crazy how spot on us mamas can be sometimes when it comes to our little ones. 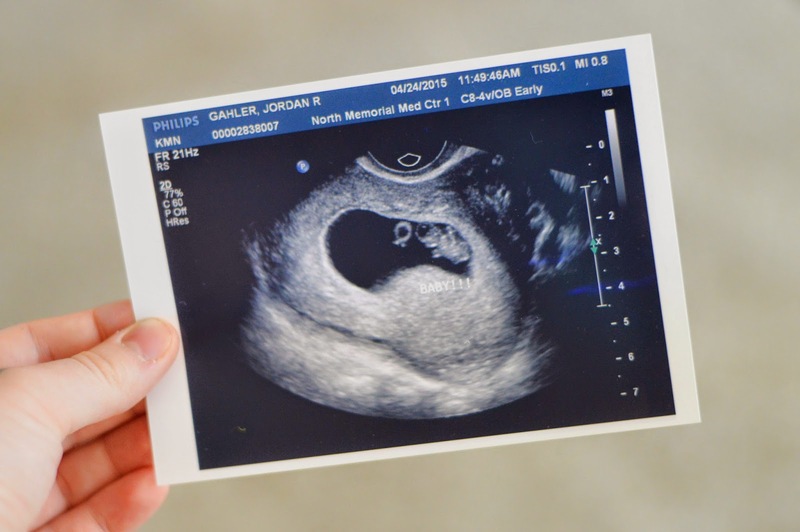 We are hoping to be able to find out the gender of our little one during our Nuchal Translucency screening in early May. I know that some places will tell you the gender based on the chromosomal makeup in the moms blood, and it is 99% accurate! I'm just not sure if the place that we go to does this! Hopefully then we will be spilling the beans about the name we picked out too!